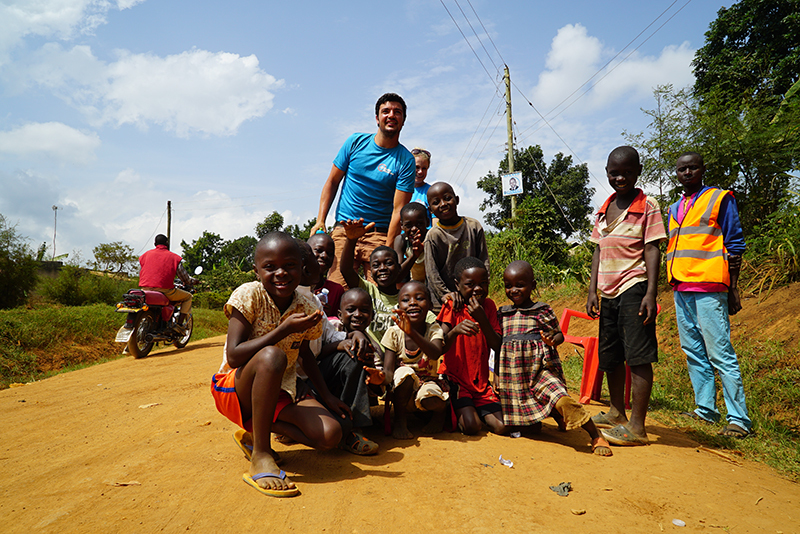 One unforgettable week: 26th May – 2nd June – see what you can expect! 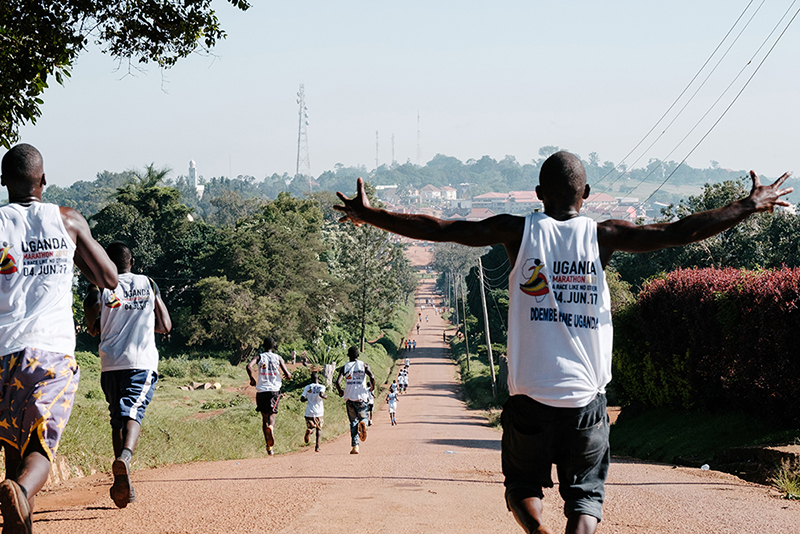 A beautiful run through picturesque Uganda, along half of the route. 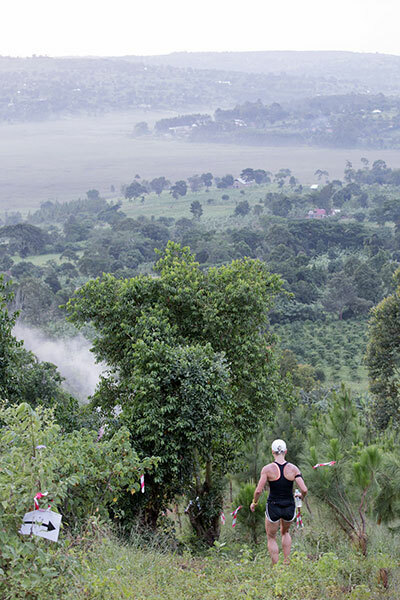 Come for the adventure and top it off with a chance to run through the very best of Africa! 1 or 2 laps of our 13.1 mile course. 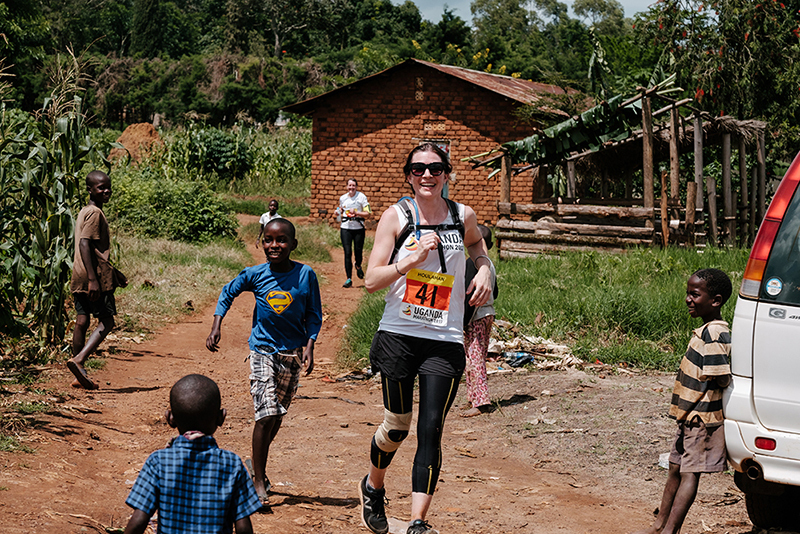 Hills, rough terrain and an African sun makes this one of the toughest but most rewarding challenges that a runner can undertake! 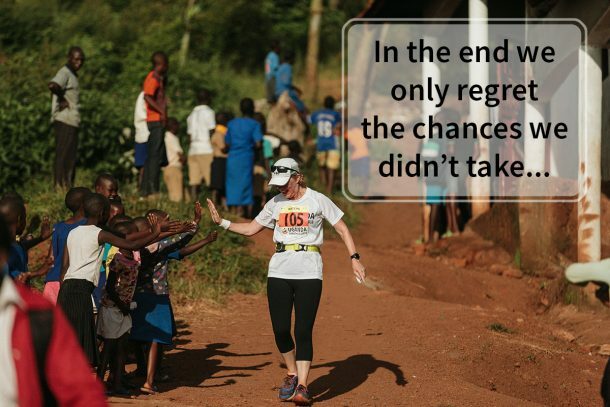 Don’t miss out just because you don’t want to run! Have the best week of your life and then help other people across the finish line by cheering them on or helping out. Camp out at the Athlete’s Village. For happy campers who love being close to nature and want to wake up to fresh outdoor air. You’ll have access to communal toilets and showers, along with the grounds of the Athletes’ Village. It’s an organic, backpacker experience! 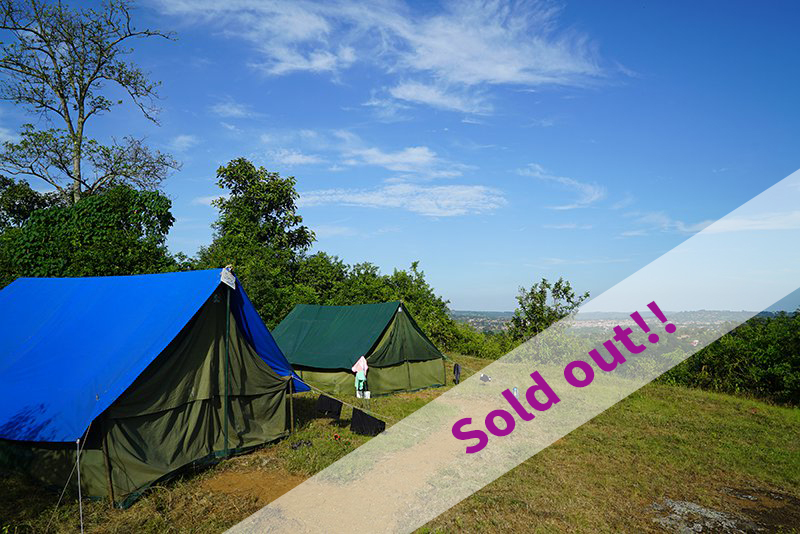 African Glamping – Sold Out!! Stay in The Athletes’ Village under canvas! Along with your very roomy deluxe tent, you will be provided with a real bed – complete with mattress – all your bedding, and all the home essentials and touches you need to experience a totally new and unique camping experience on the Equator. 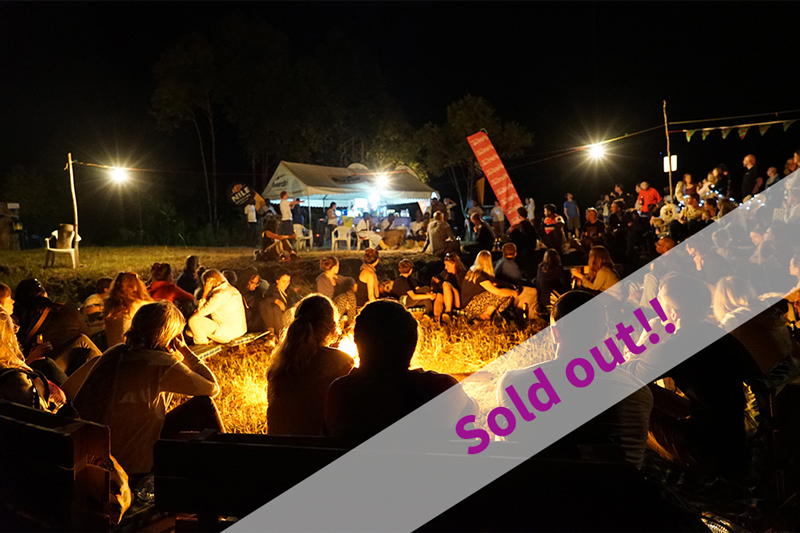 Athletes’ Village – Sold Out!! Stay in the Athletes’ Village with our basic accommodation package. 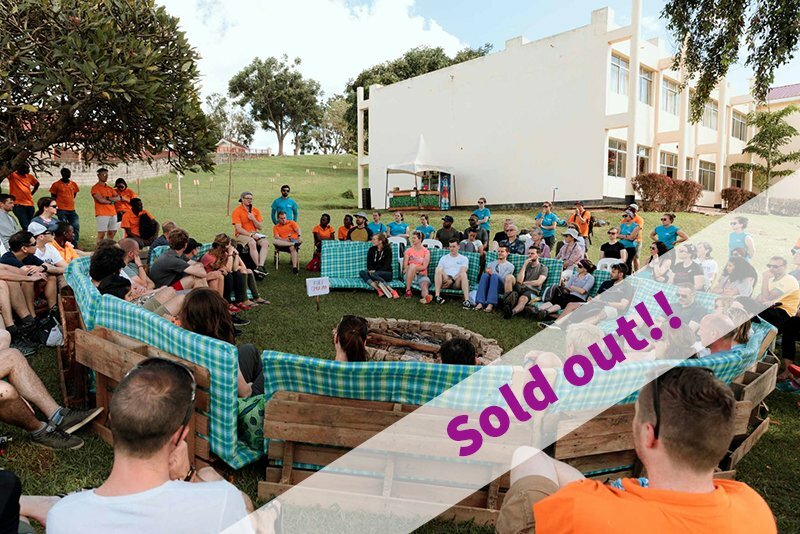 You’ll have a private room and bathroom, with access to the grounds of the Athletes’ Village, which is complete with campfire, outside bar and areas to relax after a hard days’ volunteering. 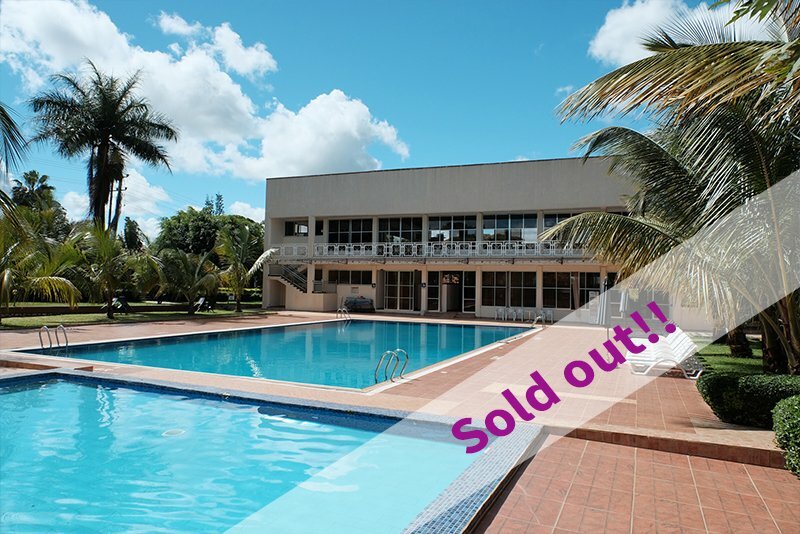 Hotel Plus – Sold Out!! Upgrade your experience to stay in the best Hotel in Masaka. After the long day’s volunteering, enjoy luxurious surroundings, an onsite spa, and an outdoor pool. You’ll still have full access to the Athletes’ Village grounds, a 5-minute walk away, but you’ll enjoy a much more deluxe adventure. Stay in The Athletes’ Village under canvas! Alongside your very roomy deluxe tent, you will be provided with a real bed – complete with mattress – all your bedding, and all the home essentials and touches you need to experience a totally new and unique camping experience on the Equator. Upgrade your experience to stay in the best Hotel in Masaka. After the long day’s volunteering, enjoy luxurious surroundings, an onsite spa, and an outdoor pool. You’ll still have full access to the Athletes’ Village grounds, a 5-minute walk away, but you’ll enjoy a much more comfortable adventure. Registrations for 2020 are coming soon!! We are launching registrations for 2020 in April. So stay tuned to join us for the most incredible week of 2020. This is everything that is included once you sign up! All activities throughout your entire adventure. Don’t fancy running but everything else sounds great? Take part in everything else and then volunteer on race morning! To sign up, fill out the 2019 registration form and pay a $€£$99 deposit. Your balance is then due in 60 days. Click here to begin your adventure!